Physics is an extremely exciting field. However, its elegance is often hidden behind a wall of mathematics that masks its simplicity and beauty. Fortunately, some aspects of physics, even those that seem complex, can be explained using easy to recognize ideas and concepts. You might be surprised to learn that in the first nine entries of this tutorial series, we’ve already introduced the key concepts and equations that explain how things move. 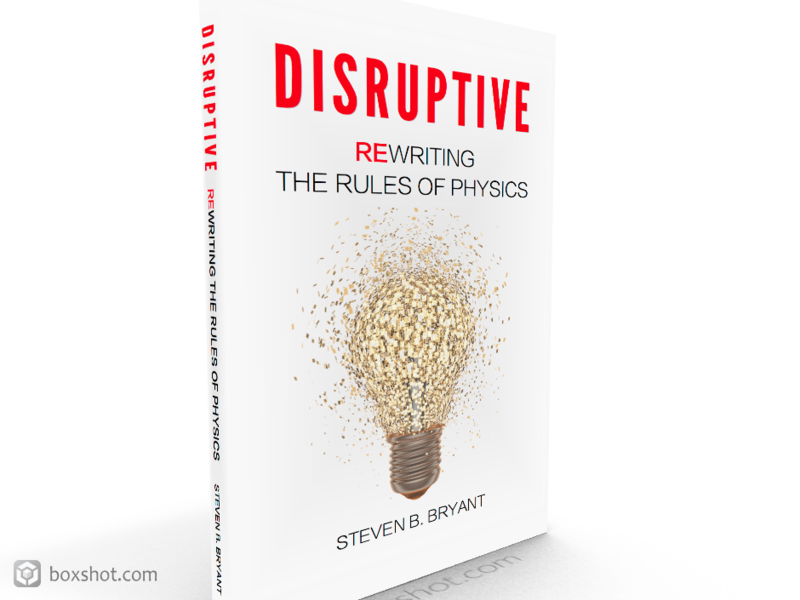 We’ll use this foundation to explain a new and compelling unified model called Modern Mechanics, as well as two well–known historical models: classical mechanics and relativity theory. If we defined a timeline, classical mechanics comes first. It is followed by relativity theory, which is then followed by Modern Mechanics. In many ways Modern Mechanics and relativity theory owe their existence to classical mechanics. Without the foundation it established, combined with areas it was unable to explain, we would not have needed a compelling replacement. Similar to our examples in earlier tutorials and as illustrated in Figure A, we place the woman and the bus on the street. In Figure B, we provide a generalized model, one that is applicable to more than buses, people, and streets. 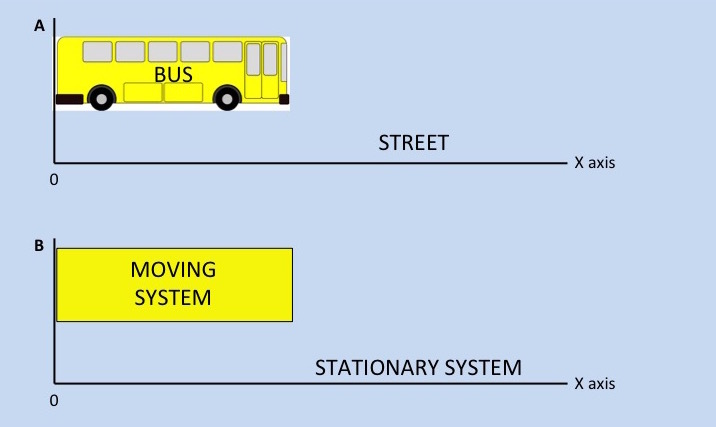 As you can see from figures A and B, classical mechanics is a two–system model that explains the motion of one system (the moving system or bus) with respect to another system (the stationary system or street). It is worth repeating: classical mechanics consists of one system, called the moving system, that moves with respect to another system, called the stationary system using the translation equation. While classical mechanics is an extremely useful model that consists of many ideas and equations, the translation transformation is the most important one to consider when comparing it with other moving system models. Interestingly, each theory of motion we discuss – Modern Mechanics, classical mechanics, and relativity – share this same idea where one system moves with respect to another. Today, classical mechanics remains extremely useful. In fact, from the 1500s until the late 1800s classical mechanics reigned supreme. However by the late 1800s, as our knowledge and experience with the electromagnetic force grew, we found more areas that classical mechanics could not explain. Without a useful model, we could not have made the advancements in electronics, optics, communications, and computers that have occurred during the past century. This is where Einstein’s relativity theory comes in, by providing equations that make good mathematical predictions in areas where classical mechanics could not. As a replacement for classical mechanics, relativity explains the motion of two systems; it just does so differently. It introduces a new equation that replaced classical mechanics’ Newtonian equation. In addition to a new equation, it introduces several non–intuitive ideas, like time dilation, length contraction, and space–time curvature. We’ll explore these ideas and equations in upcoming tutorials. As we’ll discuss shortly, although relativity often provides useful answers, it is not a sound theory. With relativity theory rendered invalid, we need a theory that explains the same things as both classical mechanics and relativity theory, but with better accuracy. That’s the purpose behind Modern Mechanics. Modern Mechanics shares many of the same predictive capabilities as its historical cousins. Like classical mechanics, Modern Mechanics explains changes in position using the Newtonian equation. 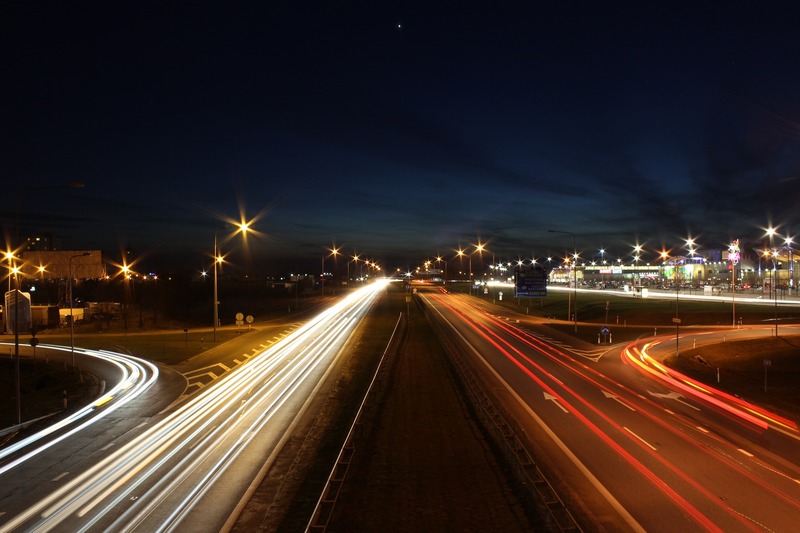 Like relativity, Modern Mechanics explains behaviors associated with the electromagnetic force. It also eleminates constraints associated with relativity theory, such as the idea that nothing can go faster than the speed of light. Modern Mechanics is not a reinterpretation of relativity. It uses a different conceptual framework and different, more accurate equations. Unlike its cousins, Modern Mechanics is a three–system model. It explicitly introduces and explains the behavior of a third system, which is called the oscillating system. 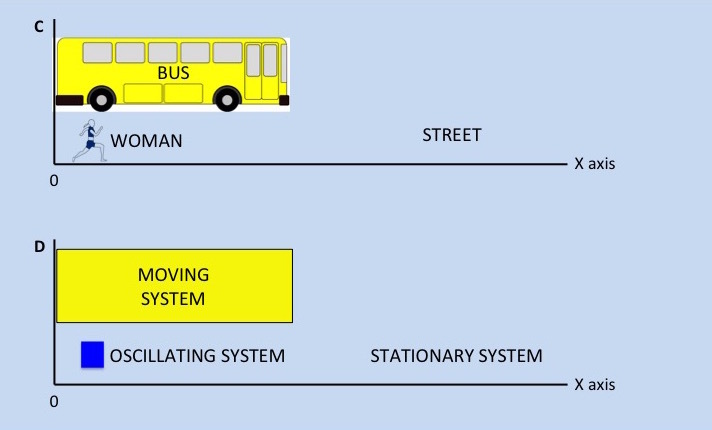 The oscillating system moves back and forth between points on the moving system, similar to how the woman running along the street moves back and forth between the rear and the front of the bus. The specific example and the generalization are illustrated in figures C and D.
Because Modern Mechanics provides different predictive capabilities, it also uses different terminology, some of which can be used interchangeably without causing a problem. For example, a moving system is referred to as an inner system and a stationary system is referred to as an outer system. One last comment: the woman (eg, oscillating system) does not have to be on the street (eg, stationary system). We could have instead placed her on the bus (eg, moving system). The introduction of a third system is what gives Modern Mechanics its ability to explain changes in position – using translation equations, and changes in distances – using scaling equations. As you’ll read shortly, it is this powerful ability that enables Modern Mechanics to serve as a unified model of motion. Modern Mechanics is able to explain things that previously required multiple theories or ideas. This is what makes Modern Mechanics so exciting and compelling.